Image courtesy of Black Mirror. It goes without saying that Black Mirror is a show about the effects of new technology on society. From the very first episode—“The National Anthem,” which depicts a Prime Minister being forced into committing sexual inter- course with a pig in order to safeguard the release of the U.K. princess taken hostage—to the very latest episode released late last year—where social media empowers an intricate, autonomous system of murder which kills the most hated people on the Internet—the show depicts alternative (or, perhaps, entirely possible) varieties of the future where the promise that new technology engenders is instead hijacked to transform society into something ugly and tainted. What’s important about Black Mirror is not the way it seems to comment on society’s relationship with technology. Instead, the show uses technology as a conduit for discussing society’s relationship with the spectacle, and the way it reinforces classical power structures. The advent of modern film techniques and digital illustrations allows Black Mirror to draw out the optics of such a relationship more profoundly than nearly any show before it. When talking about the spectacle, I’m referring to the old Situationist theory developed by Guy Debord, the 20th century French Marxist who first detailed his ideas in his seminal 1967 work, “The Society of the Spectacle.” In 221 theses, Debord discusses the rise of the spectacle, which in essence is mass media, as a result of modern advertising techniques that could reach a wider sphere of the public through billboards, print, radio, and later on, television. Suddenly, the mass populace was finding itself inundated with a layer of information on a day–to–day basis with the sole purpose of commodifying a thought and packaging it as something that could be sold. “The spectacle in general, as the concrete inversion of life, is the autonomous movement of the non–living.”If you’re an avowed proponent of the free market, or, at the very least, hold anti–capitalist theories in a skeptical light, then you probably disagree with these notions from the outset. And that’s fine—the point of this piece is not to persuade you to give yourself to the dark side. What’s unmistakable, however, is that Black Mirror is constructed from these ideas. Nearly every single episode is something of a commentary on how technology in a near future is employed as a way to solidify capitalist structures by advancing the public’s obsession with mass media. Spectacles take hold of the public attention in a variety of ways, but their value is not simply in the unfolding of events that one contextualizes as “history.” Spectacles, in reality, have a market value—they are only useful insofar that they can be used to sell something to consumers. The Super Bowl is an event to sell the NFL to the world —and sponsors latch onto it in order to claim (and sell) a piece of the pie. SpaceX rocket launches and landings are monumental feats of engineering, but putting them on display is a way to sell the company to the rest of the world. The 2016 U.S. Elections were an 18–month long campaign for two parties to sell themselves to the American public; the public didn’t simply buy into those products with their votes, but they also donated money to the parties and any affiliates who asked for it. And so forth. You might even say the release of Black Mirror’s third season was a spectacle itself. The release was hotly anticipated by the media and discussed intensely before and after the episodes were available to stream. The value of Black Mirror, even if you’re inclined to think of it as a work of art, cannot be separated from consumerism. Despite this inherent paradox, we can nevertheless understand Black Mirror to be an effective commentary on modern spectacles and how technology is capable of push- ing these ideas to an extreme. This theme is most strongly on display in the series’ second episode, “Fifteen Million Merits,” which depicts a world where individuals must operate stationary bicycles all day long to generate power for whatever gargantuan, advertisement–ridden building they are indentured to live in, in return for currency that’s used to pay for everyday essentials like toothpaste as well as “luxuries” like snacks. The ugly optical hell of being besieged by these advertisements is clear from the beginning. The protagonist wakes up to his cell–like room lit up in a flush of bright colors. As the day wears on, these and other displays plastered throughout the building cycle through a chaotic mix of ads for shows and games that cannot be skipped without monetary penalty. Fortunately for our protagonist, he can skip these ads thanks to a surprisingly hefty mass of wealth (later explained to be an inheritance which once belonged to his late brother). But not all of this dystopia’s citizens are so lucky. Like in the real world, money buys you the freedom of peace and quiet—while those without are constantly bombarded by artificial messages bouncing up on screens everywhere telling them what else they should buy. And that brings us to perhaps the single biggest motif by which Black Mirror presents its spectacles: screens. In “The National Anthem,” it is screens—televisions that give us 24/7 news, computers that let us pull up YouTube with a few clicks, mobile phones that instantly stream whatever unwitting person manages to find themselves in momentary grave danger—that strips the government of its power to control the situation. At first, one might argue that this upends the existing power structures and actually perhaps empowers the people, but in reality, all we’re seeing is the media falling over itself to keep up with the story and a nation’s eyes and ears glued to the screen as that same media sells them the story. In “The Entire History of You,” screens are actually a gateway into seeing life as it’s experienced from anyone’s eyes—and playing it back as often as one would like. This is taken to a more conspicuous extreme in “Nosedive”— an episode where everyone’s life status is tied to ratings on social media—in which a person’s presentation of themselves in the digital world essentially dictates how well they are able to sell the value of their life. What all of this really leads to is a commodification of reality. 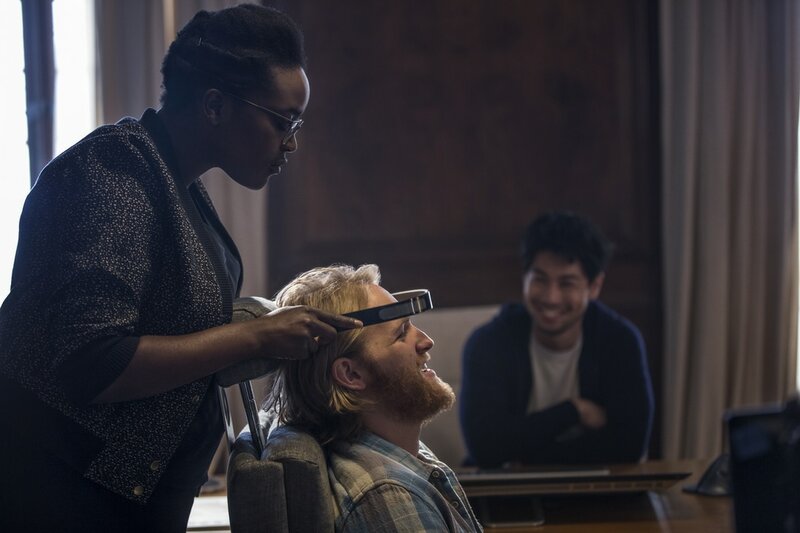 Black Mirror demonstrates how new technology turns life into a function of spectacles that arise one after another—and the technology at the center of the episode is how the people of that universe are able to interface with and participate in them. They are essentially allowed to buy into the new reality they now see and hear, thanks to some new–fangled gizmo that augments the spectacle into a newfound experience. The optics of the spectacle change when one finally buys into that reality being sold to them. And this occurs in other episodes as well. In “Fifteen Million Merits,” the main character’s world goes from a black LCD–emblazoned prison to a white, spacious home with a window overlooking lush greenery. When our protagonist soldier in “Men Against Fire” finally accepts his circumstances, he is provided the false panacea of leaving the war zone behind temporarily and going home to a beautiful neighborhood to see his gorgeous girlfriend awaiting his arrival. Neither outcome is actually real. All that’s happened is one prison is traded for another prison that looks better and is perceived to be more comfortable. When someone rejects buying into the spectacle, that’s when the optics filter out into the bleak and dreary. This is what almost happens in “Men Against Fire,” when the protagonist’s reality–mediating neural implant malfunctions, allowing him to see the horror of the war for what it really is—the extermination of innocent civilians. When he tries to reject this reality, he’s subjected to blindness, followed by a continuous replay of his own terrible actions. “The Waldo Moment” ends with the main character homeless and destitute, forced to confront his own version of Frankenstein’s monster everywhere he looks, in a future where Waldo’s bright blue image swamps the land as a worshipped proxy for global authority and a mascot for advertisements of all kinds. 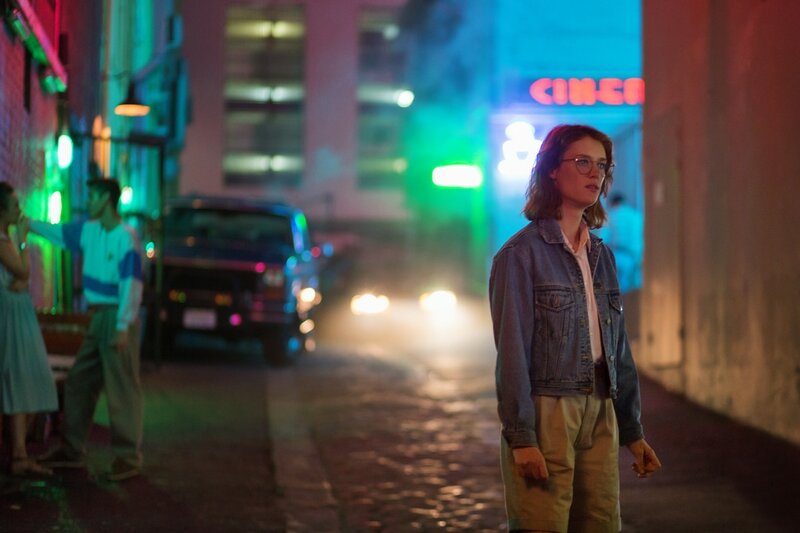 ​Ultimately, interpretations of Black Mirror that believe the show to be a moral story about the dangers of technology are missing the point—and ignoring the show’s impressive degree of artistry. Black Mirror is not about how the rising presence of technology in our culture will inevitably corrupt humanity and be the doom of us all. The show almost seems to suggest technology is already completely ubiquitous—most episodes present us with universes that aren’t too different from our own.